This week, Team Mouse Castle didn't make our usual trek to the red carpet in Hollywood to preview the Academy Awards. We found a pretty suitable substitute venue though, Trader Sam's Enchanted Tiki Bar at the Disneyland Hotel. Give a listen to Christi Andersen and me for our annual vague and highly suspect predictions on who will win at Sunday's Oscars. Joining us will be Carolyn with an award-worthy edition of Adventure Thru Liquid Space. What are you wearing? Who cares? What you're drinking on Oscar night is what really matters. Here are the major categories we'll be taking a stab at on today's show. We apologize in advance for how you score on your Oscar pool. 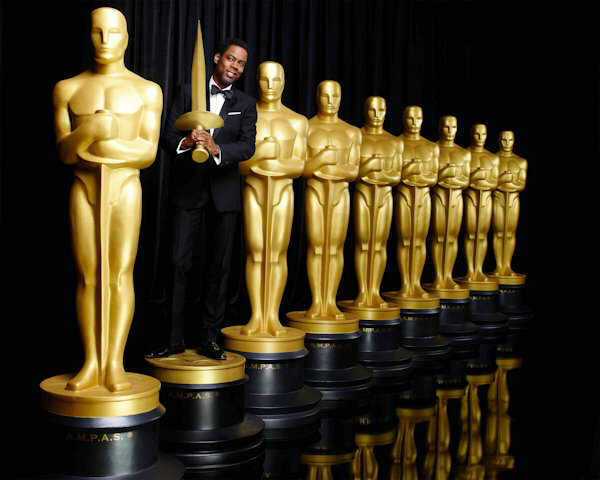 Chris Rock hosts the Oscars on ABC Sunday, February 28 at 4:00 p.m. PT.